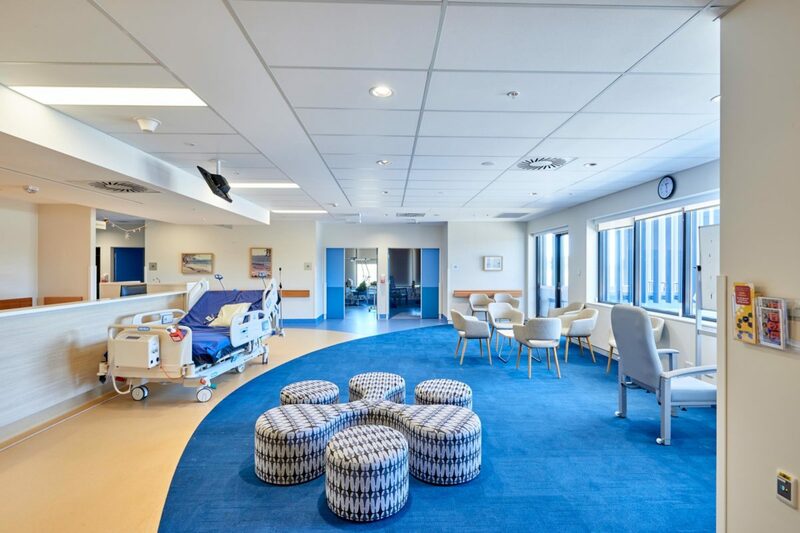 nettletontribe has extensive experience throughout the health and research sectors, we deliver complex, innovative designs with a deep foundation in coordination, communication and consultation. Our forward-thinking approach delivers holistic solutions that remain robust as they are now and well into the future. 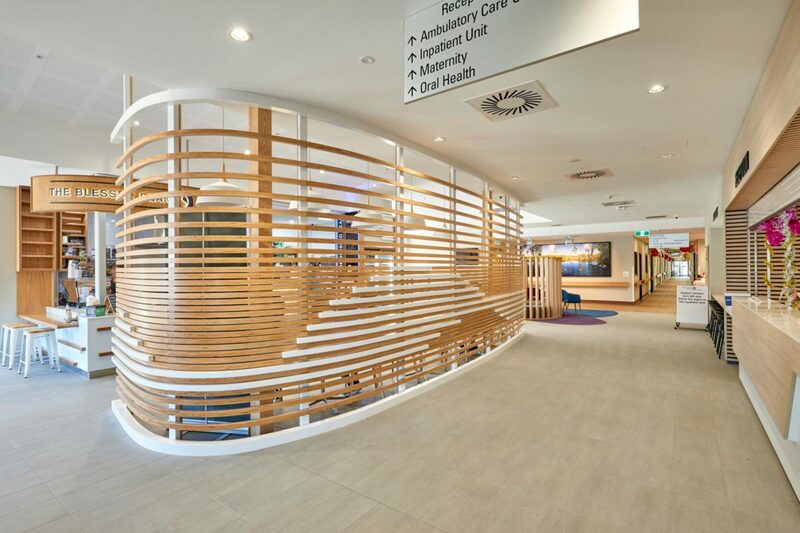 Designs are developed based on frameworks for health and research structures that best meet patient needs while delivering optimal working conditions for health and research staff. nettletontribe appreciates the distinct complexity and requirements involved in health infrastructure projects. 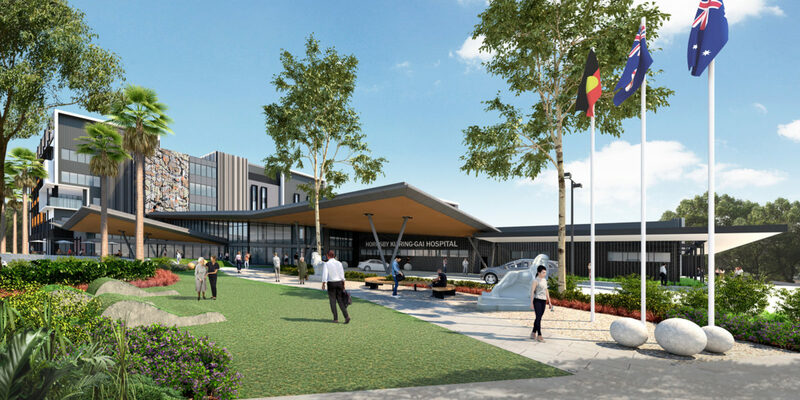 As part of the ongoing Hornsby Ku-ring-gai Hospital Redevelopment project, nettletontribe worked with Health Infrastructure NSW to design the three components which comprise the second stage of the development; the main building tower spanning over 6 stories, the main entry, and the extension of the existing Emergency Department (HOPE). 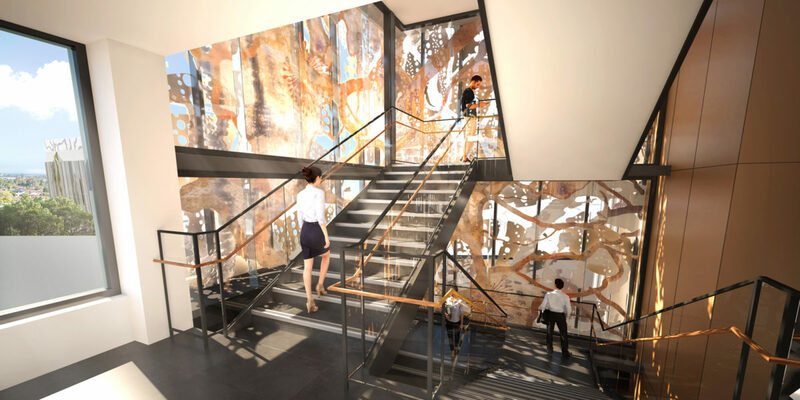 The central stair is transformed into a large-scale artwork, developed in collaboration by artists Jade Oakley and Jessica Birk. 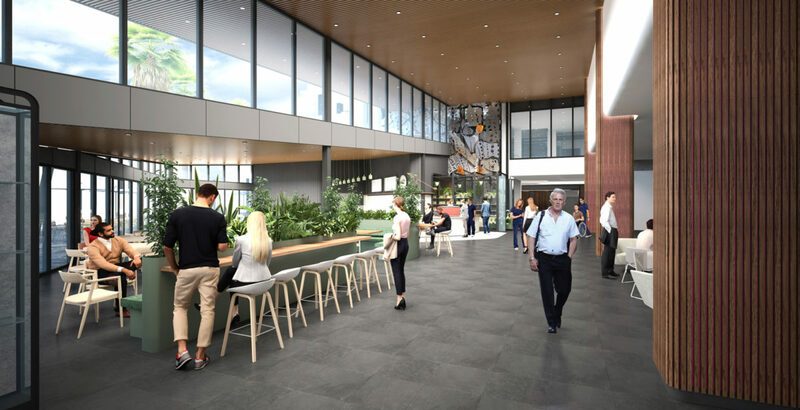 The design draws on the artists’ cultural heritage, connection with nature and the genius loci of the Hornsby region. A beacon from the street, the prominence of the art is the centrepiece in orienting visitors throughout the building. Within the hospital a Mortuary Courtyard has been designed to provide the local community with a dedicated space for their cultural rituals. 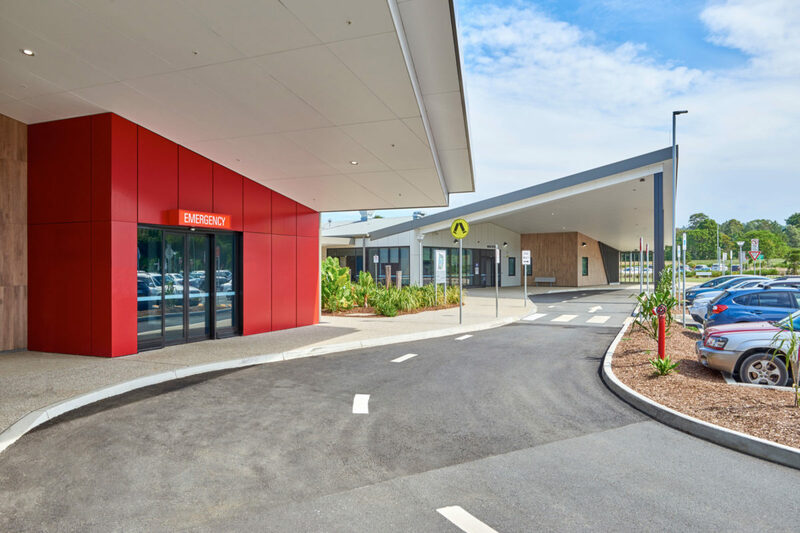 Byron Central Hospital is designed to foster the healing process through a landscape and community focused design. The building’s origami-like roof form makes a welcoming gesture echoing the undulating hills of its surrounds and highlighting the importance of its setting. 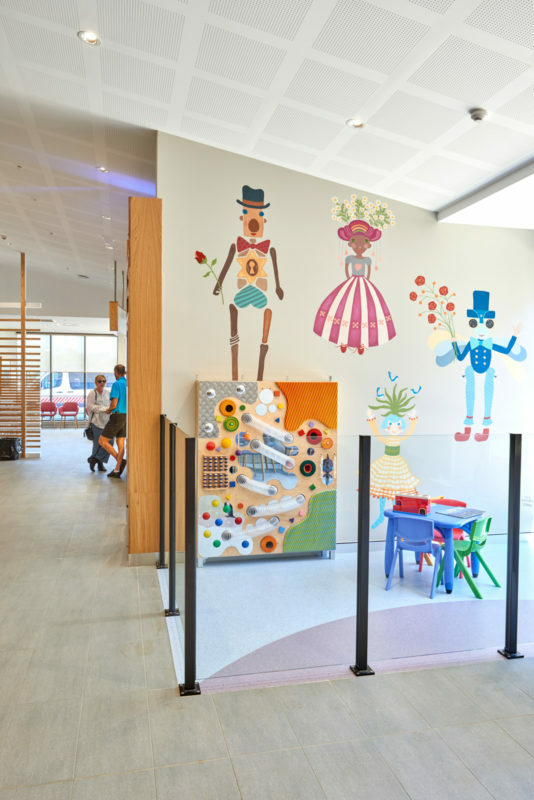 nettletontribe was engaged by Health Infrastructure NSW to design develop and document the project, following the DA design prepared by Woods Bagot. 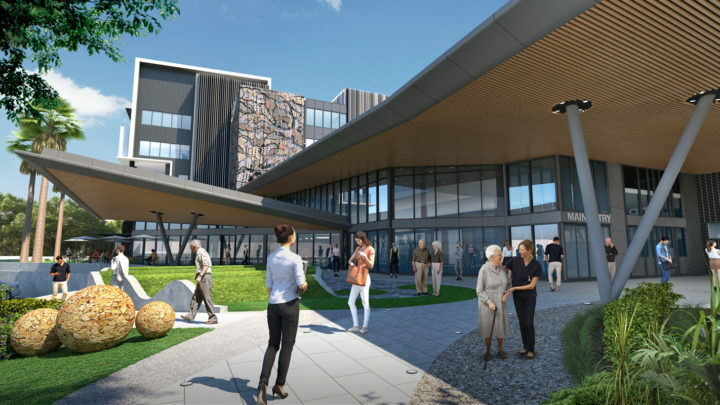 Mostly contained to a single storey, the project is composed of three separate buildings linked with a connecting corridor. 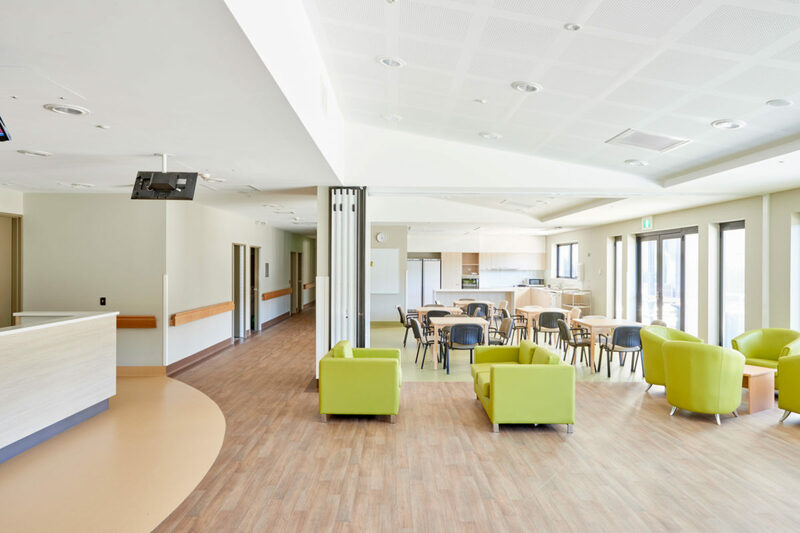 Located in the expansive green fields of New South Wales’ Northern Rivers region, the hospital’s design orientates the main circulation areas to take advantage of the picturesque surrounds, allowing the presence of nature to be part of the patient healing pathway. The interior design derives from the natural and cultural nuances of Byron Bay and Mullumbimby. To express the distinctive purposes of each building, three interiors schemes were developed: hinterland, drawing on the organic plants and colours of local markets; coastal, referencing the ingrained beach culture of the area; and headland which reimagined the dramatic local sunsets and nearby lighthouses. 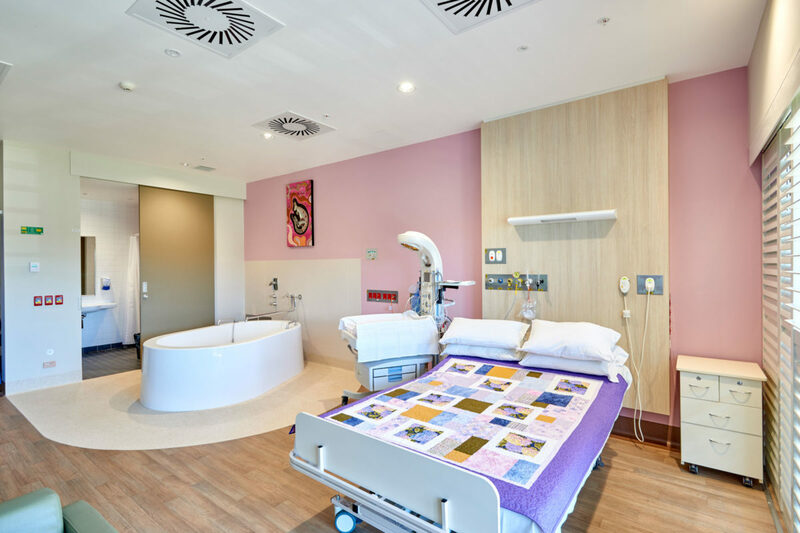 Byron Central Hospital houses emergency, inpatient accommodation, birthing suites, medical imaging, ambulatory care, oral heath, chemotherapy, pharmacy and mental health, as well as a range of support services. 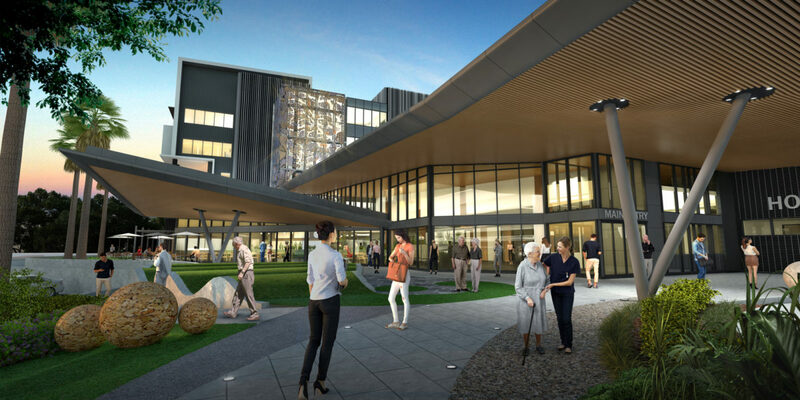 The facility combines and replaces the services of existing hospitals at Byron Bay and Mullumbimby.